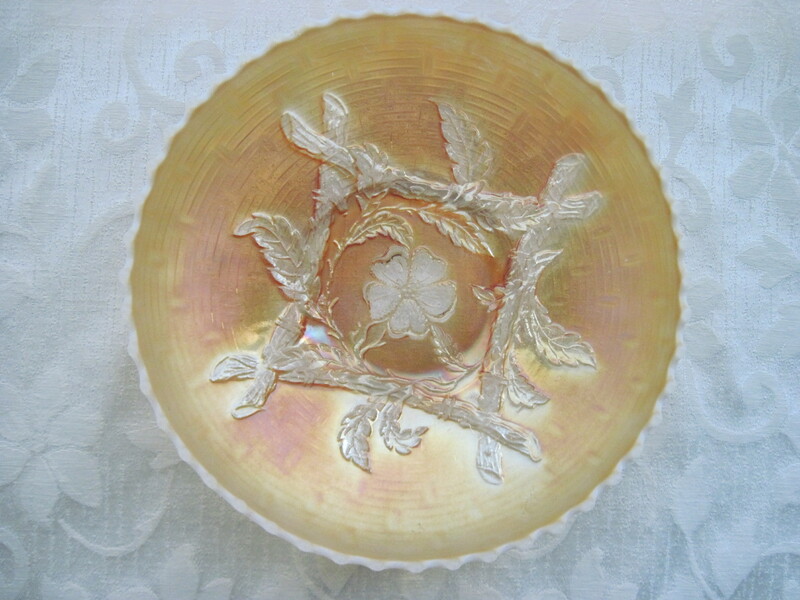 This carnival glass bowl measures approx. 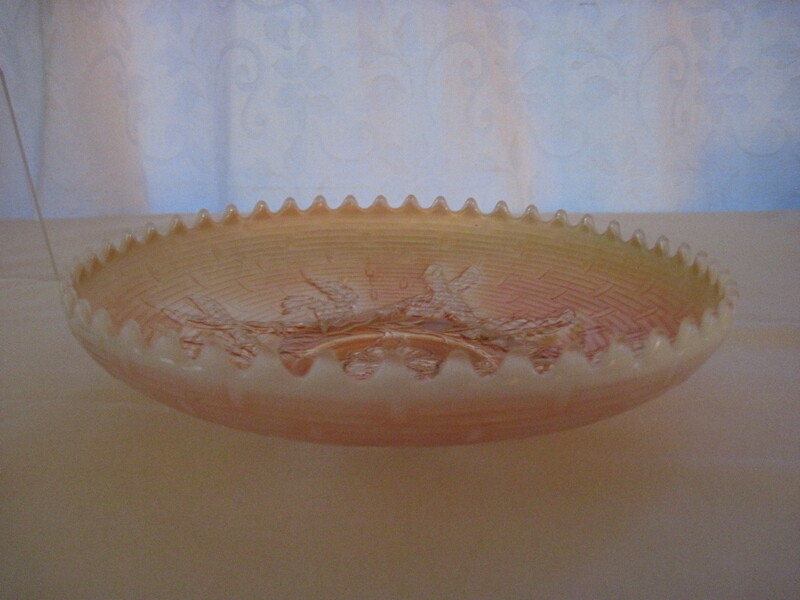 8″ across and the pattern is called Apple Blossom Twigs in the colour peach opalescent. Made by the US company Dugan in 1912. Dugan only manufactured pieces between 1904 and 1913. There is a slight chip on one of the points on the crenellated edge. For sale at my booth currently at the Almonte Antiques Market, 26 Mill St., Almonte, ON. Price is $35.00.